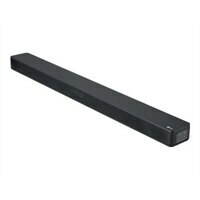 LG SK5Y - Sound bar system - for home theater - 2.1-channel - wireless - Bluetooth - 360 Watt (total)In simplistic elegance, allow the Soundbar to perfectly complement its surroundings. It is specifically designed to match and enhance your TV. Free your living room from wires. Adaptive Sound Control identifies what's playing and automatically adjusts the sound mode to create the ideal audio experience. In simplistic elegance, allow the Soundbar to perfectly complement its surroundings. It is specifically designed to match and enhance your TV. Free your living room from wires. Adaptive Sound Control identifies what's playing and automatically adjusts the sound mode to create the ideal audio experience.